Can you always trust your five senses to tell the truth? Have you ever "seen" the odor of an onion? Or known why dogs come running to a "soundless" whistle? 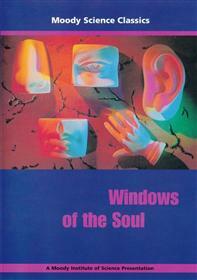 Windows of the Soul answers these questions and many more through unusual and entertaining experiments. For more than fifty years, the Moody lnstitute of Science, a division of Moody Video, has been capturing the magic of nature's mysteries on film while showing how the wonders of creation reveal the majesty of God. 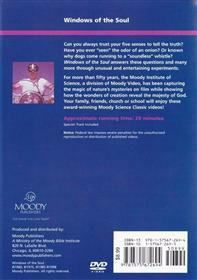 Your family, friends, church or school will enjoy these award-winning Moody Science Classic videos!